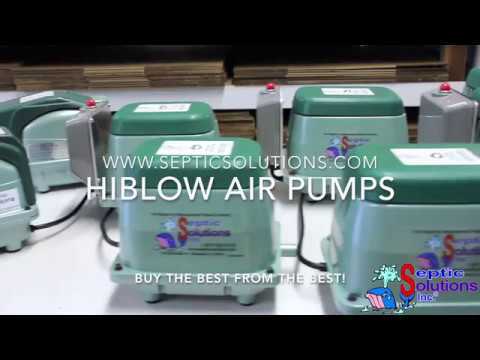 The HIblow HP-60W is a dual port linear septic air pump. This pump has a "MAIN" and a "SKIM" discharge port. There is a control unit under the top cover that puts air through the "SKIM" port for a few minutes out of every day. This is compatible with AquaKlear AK500 and other Aqua Klear 500GPD systems.